Preschool is a magical time for children - filled with wonder, curiosity, and excitement for learning. As early childhood education teachers and parents, it is our job to encourage that interest in the world around them so they will become lifelong learners. 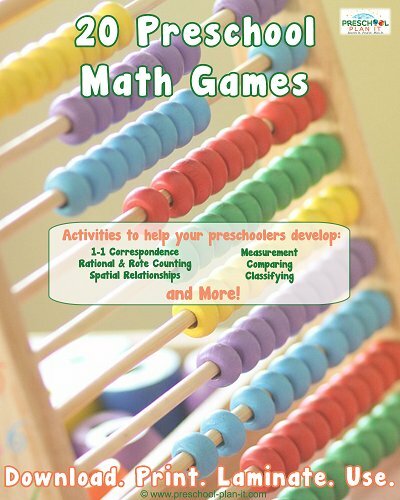 This site is a guide for preschool teachers. My goal for this website is to feature articles and how-to information in the field of early childhood education to help you work with these awesome preschoolers! First, if you haven't already, please subscribe to my free newsletter, The Preschool Teacher Tips Newsletter and receive tips, articles in the field of early childhood, theme suggestions, discounts, specials and more! As your encouraging and approachable Professor, I would like to help guide you along the journey toward being the best teacher and/or parent you can be. “But how do I do that?” you may be asking. I used to wonder that too. As an early childhood educator myself, I felt the pressure of trying to make every lesson plan exciting, every activity memorable, every craft project worthy of being hung in the Louvre. It was overwhelming sometimes. Then I realized something. I didn’t have to reinvent the wheel. I didn’t have to come up with lesson plans that had never been done before in the history of early childhood education. There is a wealth of information “out there,” and I just had to find it! With all the millions of websites out there, where are you supposed to go for reliable, up-to-date information and activities for teaching preschool, collections of lesson plans, activities, games, and songs? How do you choose which site to go to for up to day trends and information in the field of Early Childhood Education? That's where I come in! You've got me, The Preschool Professor, as well as literally tens of thousands of cyber-colleagues to help: 59,000+ subscribers to the newsletter ! I LOVE preschool and I LOVE research. I will use my passion for both and my 20+ years of experience as a preschool teacher and director provide you with information to help you better understand young children. I encourage you all to share what you know and what you want to know by contacting me with your ideas and questions! So, go grab a cup of coffee. You’re going to need it! It’s ok. I’ll wait….........Got it? We all learn when we share our experiences to help each other on this journey! We don’t have to travel this road alone. Alright, let’s get chatting then! Come to the Preschool Teachers' Lounge! Let's chat as though we are sitting across from a colleague or friend, sharing our latest triumph or challenge in teaching our children. My wish is that’s how you feel as you navigate through this website. Check out the different sections on the left hand side of the website. Please let me know if there is something that you would like to see that I don't have covered yet, Contact Me by Clicking Here to let me know! Enjoy! Thanks for visiting! I hope you come back often!